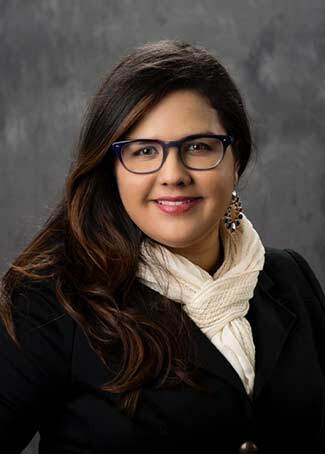 Doctoral student Ileana Cortes Santiago shares the College of Education’s passion for social justice and diversity. Ph.D. student Ileana Cortes Santiago was named AACTE Holmes Scholar of the Month in August. Originally from Puerto Rico, Cortes Santiago is a doctoral student in literacy and language and a recipient of Purdue’s prestigious Bilsland Dissertation Fellowship. Ileana’s dissertation focuses on educators’ and Latino/Latina families’ community-based initiatives. In August, the American Association of Colleges for Teacher Education (AACTE) named Ileana the Holmes Scholar of the Month. The Holmes Scholars program supports doctoral students from underrepresented backgrounds who are pursuing careers in education. Ileana incorporates the people she knows in her projects as frequently as she can. She is always thinking about who might benefit from being a part of the project — from other academics, to the Girl Scouts in the troop she volunteers with, to the families she works with. Ileana says that her best connections have come from other graduate students she has met at Purdue. Her engagement work also extends internationally. In May, she spent three weeks in Nigeria volunteering and collaborating with a colleague and friend, Genevieve Aglazor (Ph.D. ’12). They developed a comprehensive educational program for teachers, secondary students, and families and co-led a roundtable discussion on gender and leadership. In May, she published a chapter in Recontextualized, a book about incorporating music in the language arts classroom. Her chapter is about how teachers can use music to incorporate social justice and multiculturalism into the classroom, while also facilitating English language learners to participate more actively. A recent article in Gender and Education, co-authored with fellow graduate students Nastaran Karimi and Zaira Arvelo Alicea (Ph.D. ’15), is about the challenges that women of color face while teaching in predominantly white institutions.